4K HDR TV broadcasts could go live by 2017 | What Hi-Fi? The DVB steering board have added new specifications to the Ultra HD standard, including High Dynamic Range (HDR), Higher Frame Rates (HFR) and Next Generation Audio (NGA) support. The Digital Video Broadcasting (DVB) steering board's additions to the Ultra HD standard mean that more broadcasters should soon be able to provide "enhanced video and audio in their products and services". Alongside HDR these improvements include Higher Frame Rates (HFR), which means content faster than 50/60 frames per second, and Next Generation Audio (NGA), which attempts to create more immserive sound using "object- or scene-based coding", like Dolby Atmos and DTS:X. 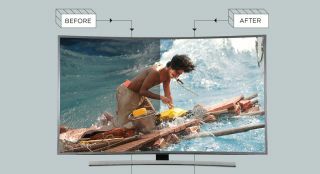 The publication of these improvements may help broadcasters produce more 4K HDR broadcast content. Many people get their Ultra HD content from streaming services like Netflix or Amazon Prime Video, and broadcast television has yet to catch up. The BBC is planning on bringing 4K content to the iPlayer, but while programs like Planet Earth 2 are being shot in Ultra HD it's still yet to be broadcast in that format.